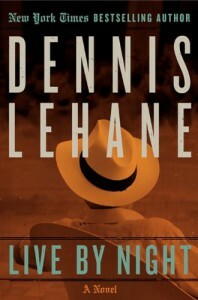 After the disappointing MOONLIGHT MILE, I approached LIVE BY NIGHT with managed expectations(still need to read THE GIVEN DAY), but was delighted to find it a return to form for Lehane, who has, over the past few years, become one of my favorite writers. Reading NIGHT, it's easy to see why Lehane served as a consultant on HBO's BOARDWALK EMPIRE; the book fairly drips with history and attention to detail, the meat of the story occurring during the Prohibition years. It's well-written, well-paced, thrilling, and moving all at once. He also manages to avoid most of the cliches that tend to arise in gangster stories, and when unavoidably they do appear, they seem appropriate rather than stale. Rather than glorifying a gangster's rise from petty thief to crimelord, he shows us the dangers, moral conflicts, and the unbearable costs of choosing to eschew the ordinary grind in favor of "living by night". When Lehane is on, he's on, and with LIVE BY NIGHT, he's at the top of his game.